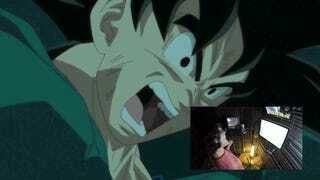 I cannot imagine the sheer hours of screaming, grunting and shouting that have gone into dubbing Dragon Ball Z over the years. Luckily, I don't have to imagine any more. 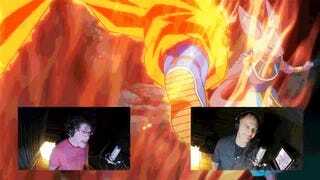 See what it's like to be a fly on the wall in a typical Dragon Ball Z recording session. 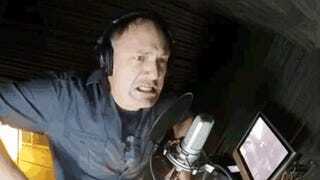 The video above was produced by FUNimation to promote the Dragon Ball Z: Battle of Gods movie, but the main takeaway? 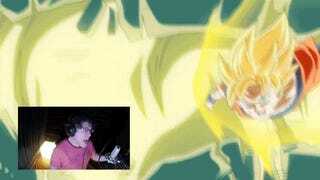 This is not easy work, and Goku voice actor Sean Schemmel must have vocal cords of steel. Here's what he looks like, for those not able to watch a video at work. 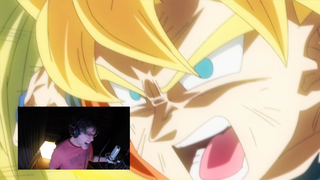 You can also watch Schemmel dub both Goku and King Kai after trying to workshop if he should put emphasis on "Bulma" in a sentence (the answer is always yes because, as we have established, Bulma is the best). Update: If you're having trouble seeing the video based on your country, there is a duplicate version of it in the comments below.